Jeff Zoul is a lifelong teacher, learner, and leader. During Jeff’s distinguished career in education he has served in a variety of roles, most recently as Assistant Superintendent for Teaching and Learning with Deerfield Public Schools District 109 in Deerfield, Illinois. Jeff also served as a teacher and coach in the State of Georgia for many years before moving into school administration. Jeff Zoul has also taught graduate courses at the university level in the areas of assessment, research, and program evaluation. He is the author/co-author of many books, including What Connected Educators Do Differently, Start. Right. Now. 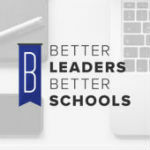 – Teach and Lead for Excellence, Improving Your School One Week at a Time, and Leading Professional Learning: Tools to Connect and Empower Teachers. Jeff has earned several degrees, including his undergraduate degree from the University of Massachusetts and his doctoral degree from the University of Alabama. He is also been recognized for his work as an educational leader on numerous occasions, including the 2014 Bammy Educators’ Voice Award. In his spare time, Jeff enjoys running and has completed over a dozen marathons. Zoul resides in Evanston, Illinois.